It's been a while since I checked out development studios for my "Where are they now?" posts so I decided to get back into them. For today's post, I wanted to check out who the actual developer of Utopia: The Creation of a Nation was and whatever happened to them. It turns out the game was developed by a UK based company called Celestial Software although you see very little mention of them just about anywhere. But there's no further mention of them. It's interesting to note though that two developers which worked for Celestial Software (Graeme Ing and Mark Glossop) mentioned that they actually worked for Gremlin Interactive so perhaps at some point Gremlin acquired Celestial Software or indeed it was always one of its subsidiaries. Since my lead runs cold in the early 1990s for Celestial Software, let us check out what happened to Gremlin Interactive and the two developers I mentioned, Graeme Ing and Mark Glossop. Ing was involved with the programming of 1990's Spacewrecked: 14 Billion Light Years from Earth and Glossop joined Ing shortly after on the development of 1991's Utopia: The Creation of a Nation (it was released on DOS, however, in 1992). Both contributed to programming the game but Ing is also credited with coming up with the original concept. Glossop and Ing then helped to develop Gremlin games such as 1992's CD-ROM version of Zool and 1993's Litil Divil. 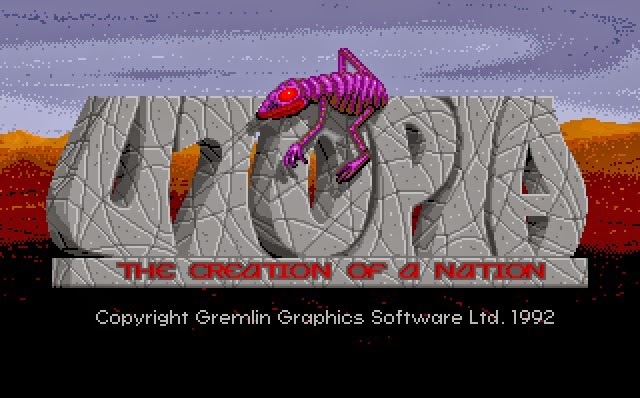 They both developed 1994's spiritual successor to Utopia: The Creation of a Nation called K240 which unfortunately (for a DOS gamer) only ever found its way on the Amiga (Ing was also credited as a designer). They also both worked on another Gremlin game that was released in 1996 called Normality but after this it seems that their paths converge. Ing leaves Gremlin Interactive in 1996 and moves to the United States to work for Sony on the hugely successful MMORPG, Everquest, its sequel, Everquest II, and another MMORPG, Star Wars: Galaxies. He eventually leaves Sony and the games development industry only to return to it this year for a company called the Daybreak Game Company. He's also got into writing books in the meantime. Glossop on the other hand stayed in the UK and continued to work for Gremlin Interactive which was eventually acquired by Infogrames in 1999. He continued to work at Gremlin Interactive until it was finally disbanded in 2003. A new development studio took its place with many of the "refugees" from Gremlin Interactive/Infogrames Studios Sheffield joining it, including Glossop. He worked there until 2009 and served as a producer on games like Outrun 2, Outrun 2006: Coast 2 Coast, Virtua Tennis 3, Virtua Tennis 2009 and SEGA Superstars Tennis. So where is Celestial Software now? Well it's definitely long gone but when exactly that happened is anybody's guess. Perhaps in the mid 1990s if you consider the fact that one of its major contributors, Graeme Ing left for the United States in 1996 - or maybe when Gremlin Interactive got bought out by Infogrames in 1999. When Infogrames Studios Sheffield was closed down in 2003 though, that was a pretty good sign that it was done and dusted. However, when you consider that one of the members of the Celestial Software team, Anthony Casson, was still working for Sumo Digital in 2014 - then maybe there's still a bit of Celestial Software DNA left at Sumo Digital after all.